Pink used to be a color that was saved for little girls, Pepto-Bismol, and piggy banks. But Breast Cancer Awareness Month has changed all of that. The month of October now brings about plenty of pink – all for a great cause. October is National Breast Cancer Awareness Month, with breast cancer survivors, their families and supporters (men, women, boys and girls from all walks of life) donning pink clothing and using pink products. They’re all showing support by bringing attention to this disease that affects millions of women each year. 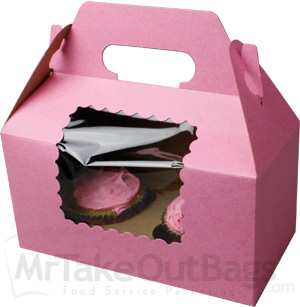 MrTakeOutBags.com has a full line of pink food packaging products from cupcake boxes to take out bags. 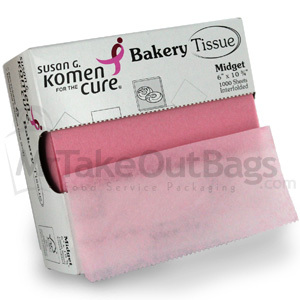 Or, choose our specially-marked boxes of pink tissue and the manufacturer will make a donation to Susan G. Komen® for the Cure, a national foundation supporting breast cancer research. BTW: These items are STILL perfect for a little girl’s birthday party or for a baby shower. Choose from some great options when packing lunches, promotional products, gifts, food or retail products with our Parisian Pastry Gable Box, or our Parisian Pastry Shopping Bags. Whether it’s a Pink Strawberry Tinted Individual Cupcake Box, or a Pink Strawberry Tinted 4 Pack Box, you can show your support for the strides being taken to defeat breast cancer with every package that leaves your shop. Even the subtle expression of using a pink ribbon on your packaged products can signify your support for National Breast Cancer Awareness month. Check out our Beauty Splendorette Curling Ribbon, the Cupcake Design Ribbon, or the Hot Pink Single Faced Satin Ribbon. Pink Menu Food Grade Tissue is one of the most cost efficient products available to show your support and add an elegant touch of pink. This particular product is specially priced in support of Susan G. Komen for the Cure® and its promise to save lives and end breast cancer forever. With every purchase, the manufacturer will make a donation to Susan G. Komen® for the Cure, a national foundation supporting breast cancer research. 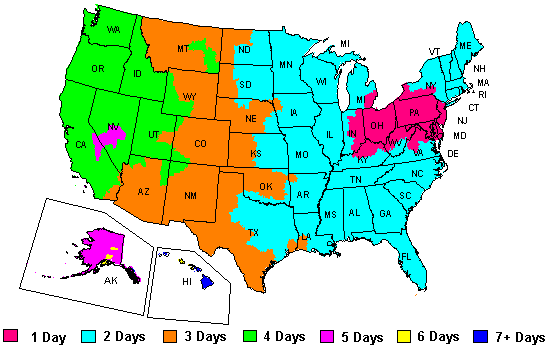 If you still have questions about pink packaging products? Check the product pages for more details, or give us a call at 888-321-2248. We’re here to answer your questions and to help you find a product that fits your needs.